R.E.D. 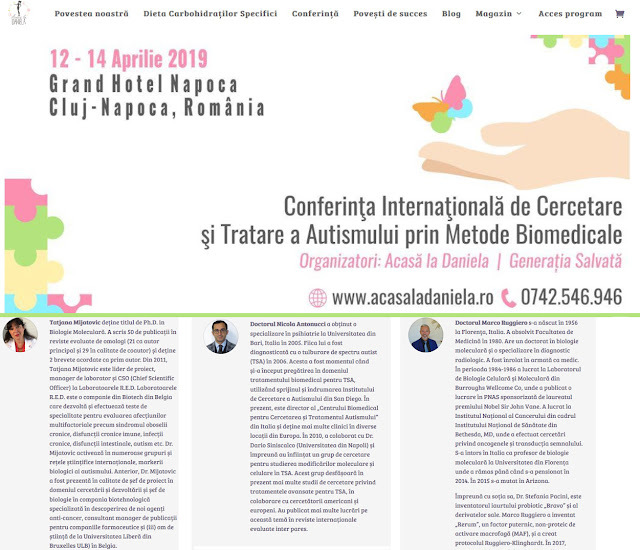 Laboratories will be present with a booth at "International Conference on Research and Treatment of Autism through Biomedical Methods". T. Mijatovic, PhD will be one of the main speakers.